Yields: Makes about one and a half cups of salsa. Appetizers, hot and spicy are the way I enjoy peppers most. That is the main reason peppers is one of the first things I planted in my new garden. I planted three types of peppers, Chili, Jalapeno, and Serrano peppers. The Serrano peppers were the first to ripen for harvesting. 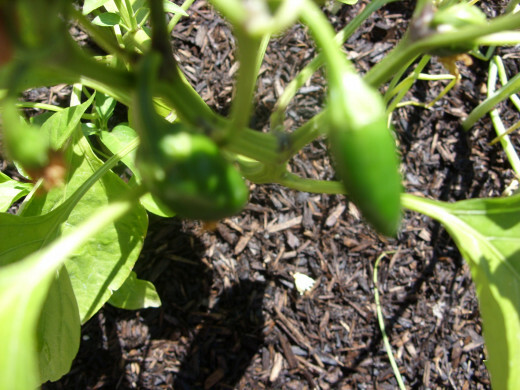 Cute little Serrano peppers soon after bringing them home from the nursery. I made space in my garden for peppers that I picked up from the home improvement store. I picked one each of Chili, Jalapeno, and Serrano peppers. They looked hearty planted in the sunniest area of my garden. 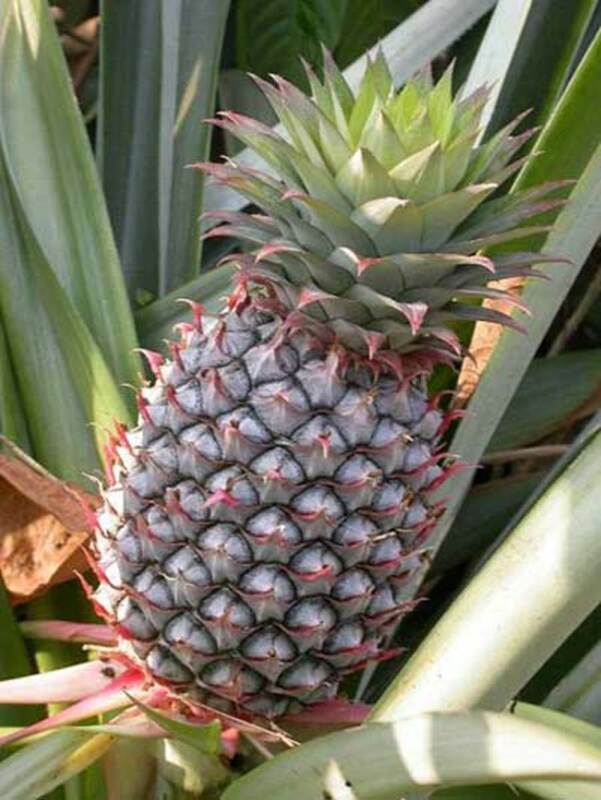 I took really good care of them, watching them, watering them, fertilizing them, and cutting off any dead leaves. Fortunately, peppers are not prone to garden pests, so I was able to let them grow naturally by themselves. And, without a lot of fuss, in just a little over two and a half months later I was harvesting the first set of peppers – Serrano peppers. 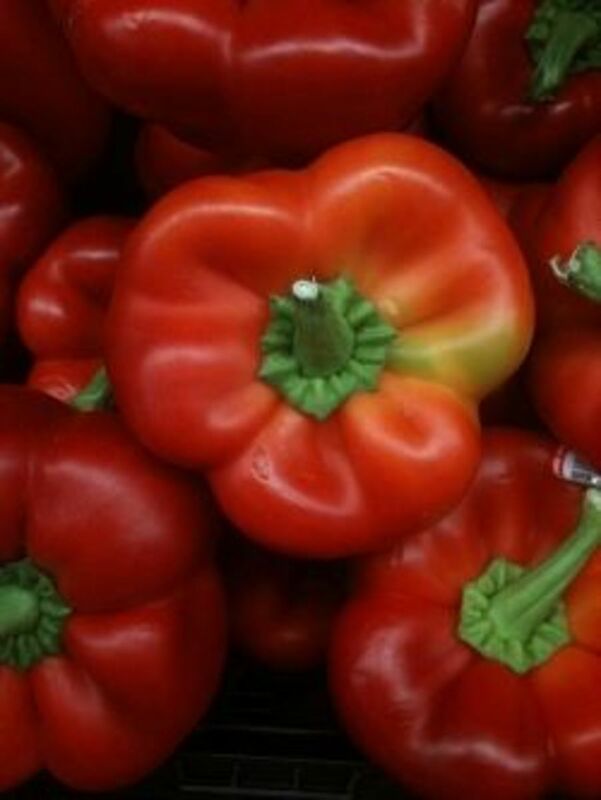 You should have seen the joy on my face as I plucked the beautiful green peppers and brought them indoors. Of course, I had to take plenty of pictures before chopping them up to serve in a dish I knew I would enjoy. I didn’t want to make a complicated meal. I was anxious to try the pepper as soon as possible. Salsa was the dish that came to mind. But, I wanted a simple salsa so that I could really taste the pepper. 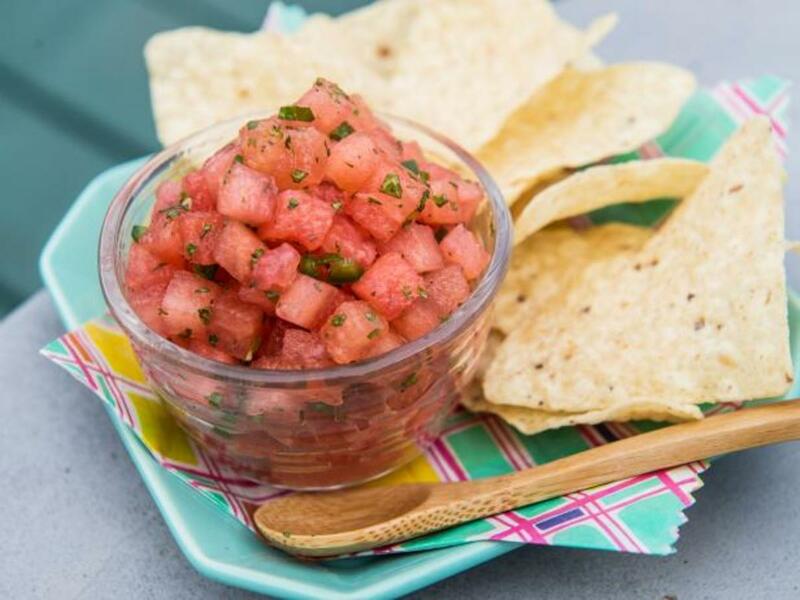 This simple and easy salsa recipe allows you to taste the true flavor of the pepper. 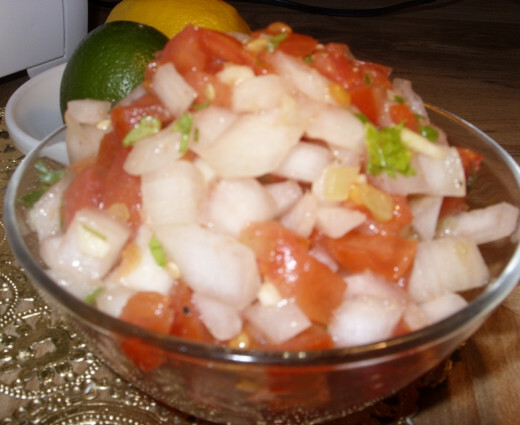 The other ingredients are traditional ingredients that go into a basic salsa recipe. They don’t overpower the pepper, in fact they showcase the pepper. I give the pepper all the glory in this simple salsa with Serrano pepper recipe. The salsa can be used as a dip for tortilla chips, mixed with avocado to make guacamole, or simply use it as a condiment for Mexican dishes. Mix all of the ingredients together in a medium size bowl. Done! The salsa is ready to eat as soon as you are done mixing it in the bowl. You can, of course, refrigerate the salsa to serve later. In fact, in my opinion, when the flavors have a chance to mingle for about an hour or more, the salsa takes on a richer flavor. When hot isn't good enough, you can spice it up a little by adding a little sauce to the mix. 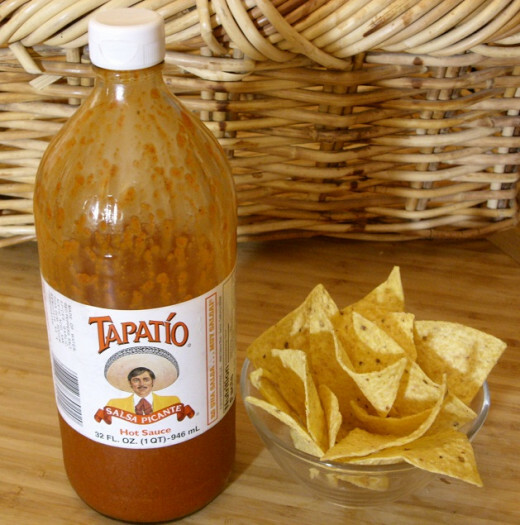 I like the flavor of Tapatio Hot Sauce. This isn't yo' mama's hot sauce. It's hot and and it's spicy, as it should be, so be careful with this one. Taste as you go. Just sprinkle a few drops into the salsa mixture, mix it in, then taste. A few drops (three to four) may be good enough to enhance the Simple Salsa With Serrano Peppers. But, if you seek more heat and spice, continue adding a couple of drops at a time until you get the heat and flavor you desire. Es picante! Translation... it's spicy! An alternative way to make the salsa is to just throw all of the ingredients into a food processor and let the processor do all the work. Sometimes, I put everything into a Magic Bullet and pulse everything a few times to get a medium chopped consistency. You can substitute lemon juice or lime juice for the vinegar. The idea is that you provide some sort of tart flavor to the salsa mixture. 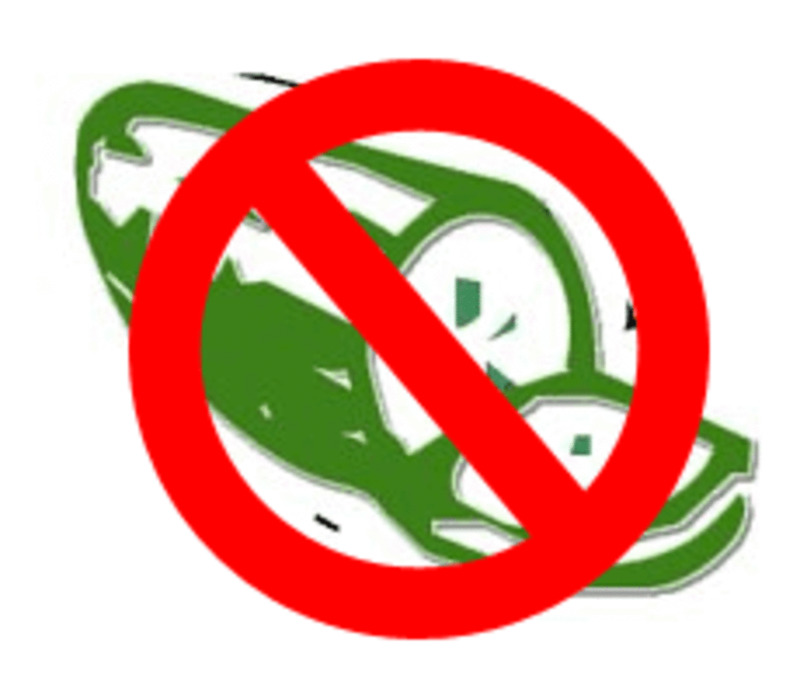 All-in-all, there is not really a strict rule for making salsa. You can chop or mince the ingredients. I happen to like some things chopped and some things minced. 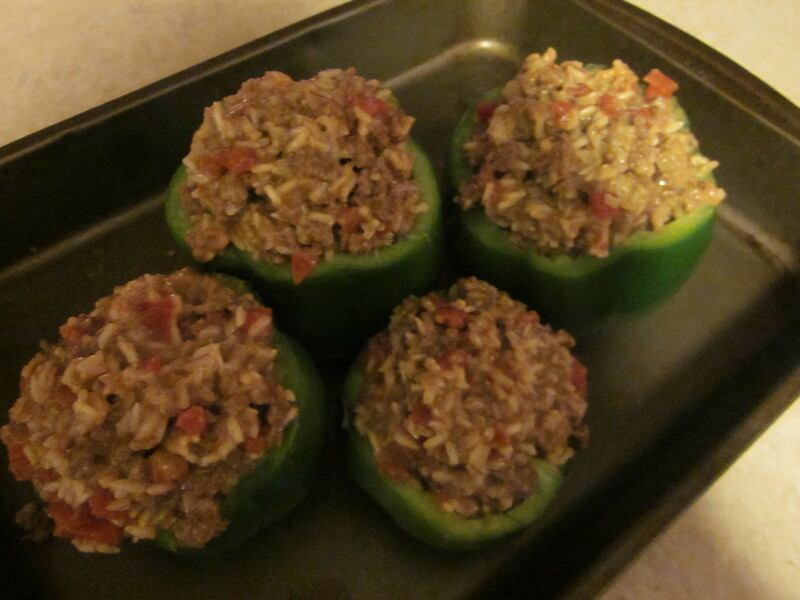 In this recipe, I wanted the heat from the pepper in every bite, so I minced it. The truth is, however you like the consistency of certain flavors will determine how you prepare them. For instance, I don’t like huge chunks of garlic. But, if you want a robust garlic flavor, by all means, chop instead of mince. The key to making this salsa recipe is to mix everything together and enjoy it. I like it hot, so I include the seeds when I make my salsa, however if you need to tone down the heat from the Serrano pepper, remove the seeds before mincing the pepper. 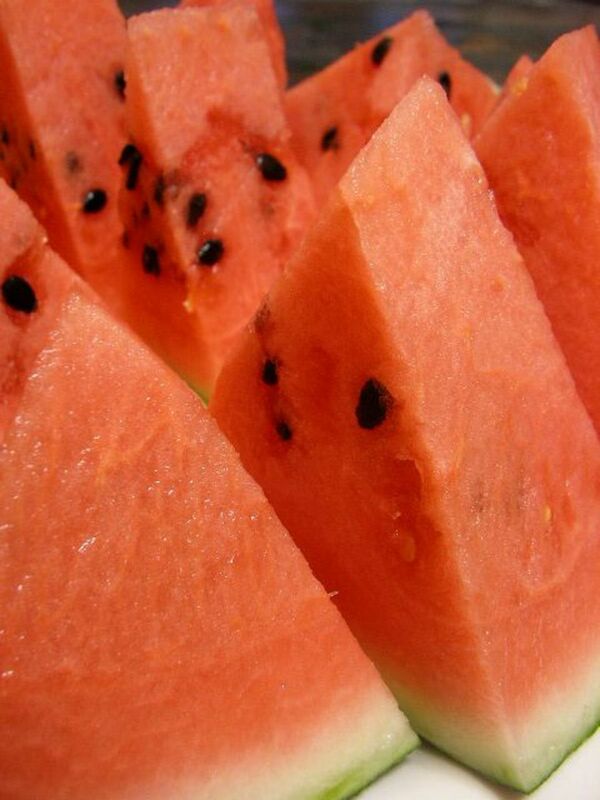 Why do watermelons crack, split and explode? Hi pstraubie48. 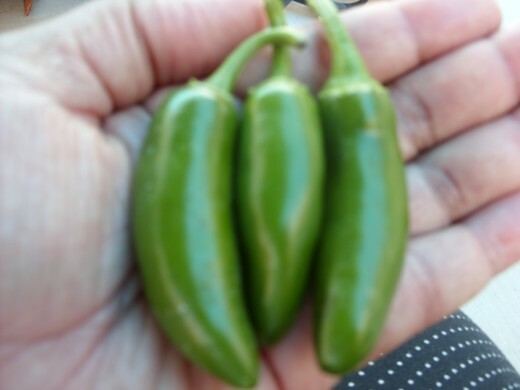 When I'm planning my garden each year, Serrano peppers are always included. I hope you get a chance to try this recipe. It's a little hot, but that's what I like about Serrano peppers. O I have to give this a try. I have made my own salsa with my own homegrown tomatoes and peppers but not serranno. So of course I have to give them a try. Hi alocsin, it is a little bit hot with the Serrano peppers. You can take some of the heat away by removing the seeds before chopping the peppers. It's a quick and easy recipe. I enjoy it a lot. I'm glad you're thinking of trying it. This might be a bit too hot for me. But I'll try any salsa once. Voting this Up and Useful. Hello Brett.Tesol and Abhimanyu Singh92 - Thank you. This salsa recipe is so quick and easy. Whenever I want a little something to snack on, I go out to the garden, select what I need, chop them up and suddenly there's salsa. I do hope you enjoy it. I want to give this one a try. I love spicy food, especially salsa with chips, toast and/or cheese ... a great light snack. Congrats on your crop, you must have enjoyed that first taste! Up, useful, awesome, shared and pinned. I do hope you like it-- quick and easy to make. I'll have to try this one.... thanks!